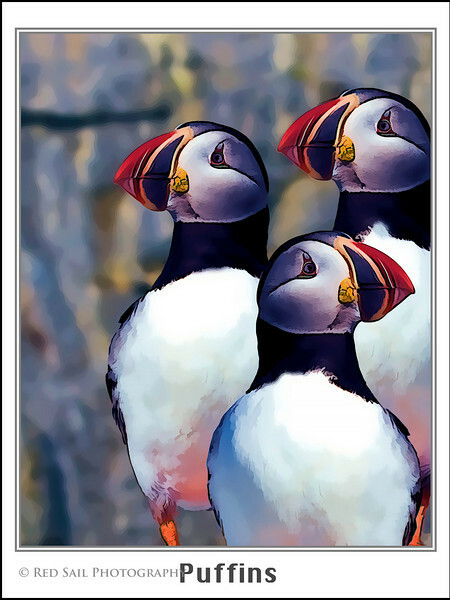 Puffin Poster. Artistic filters applied. This is available in two sizes, 18x24 or 9x12.